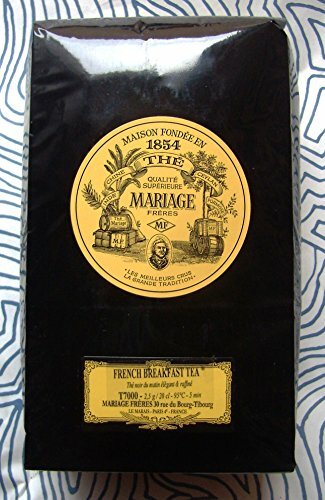 Mariage Freres - FRENCH BREAKFAST TEA (T7000) - 17.63oz / 500gr Loose Leaf BULK BAG - Black tea for breakfast elegant & refined full bodied blend - This perfect marriage of great and elegant black teas produces a rounded taste of malt and chocolate. Its highly developed flavour is both powerful and refined. A felicitous blend in the best tradition of the French art of Tea. With or without milk, perfect with a continental breakfast.